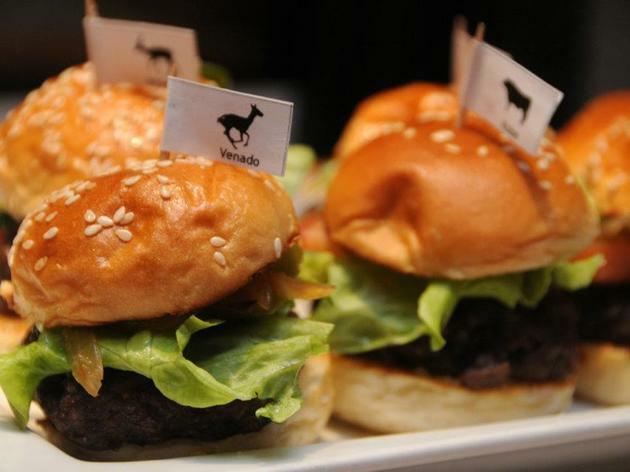 Hamburgers aren't just fast food anymore but can be a true gastronomic delight. 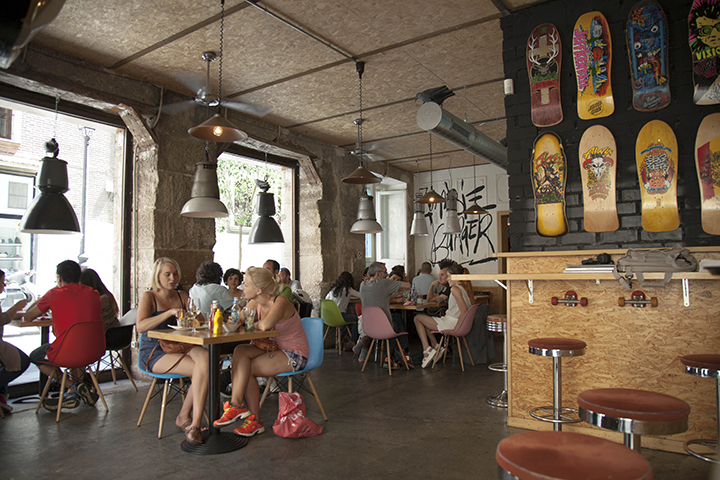 Find the restaurants and burger joints that make the best hamburgers in Madrid. The American import par excellence has undergone a huge transformation in recent years. 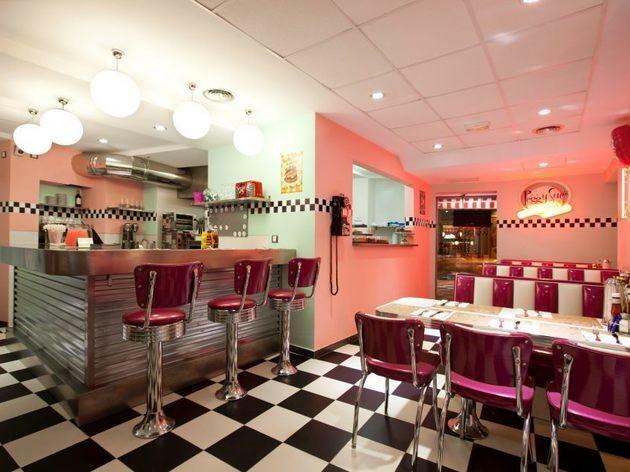 So when you need to refuel during your busy days among all the things to do in Madrid, don't settle for global fast food joints or giant themed restaurants casting shadows on Gran Vía in your quest for a great burger. Our hunt for perfect patties and fantastic fries turned up more than just those or snooty gourmet versions of the American classic (though a few of them as well). 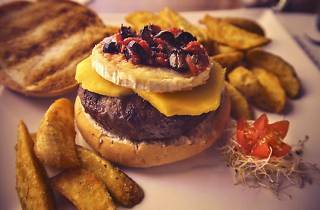 The obsession with fine ingredients that has gripped burger-makers in New York and London for the last few years has caught on in the Spanish capital too, with happy results: our list of the best burgers in Madrid (and where to get them) includes 1950s-style American diners, signature restaurant versions, and even experiments with (gulp!) zebra, proving that Spanish versions of US cuisines are much more than just a load of old 'carne picada'. Even if you're not hungry, it's worth stopping in for a drink if only for the decor and happy hipster fauna that inhabit Zombie Bar. If you add the large windows, tasty burgers and sandwiches, and ultra tempting cocktails to your anthropological study, you'd know it'd be a mistake not to approach. Also vegetarian- and vegan-friendly. If you're into organic food, you no longer have an excuse to avoid hamburgers. The meat and the bread used for buns at Home Burger Bar are organic, and all the packaging materials are recyclable. 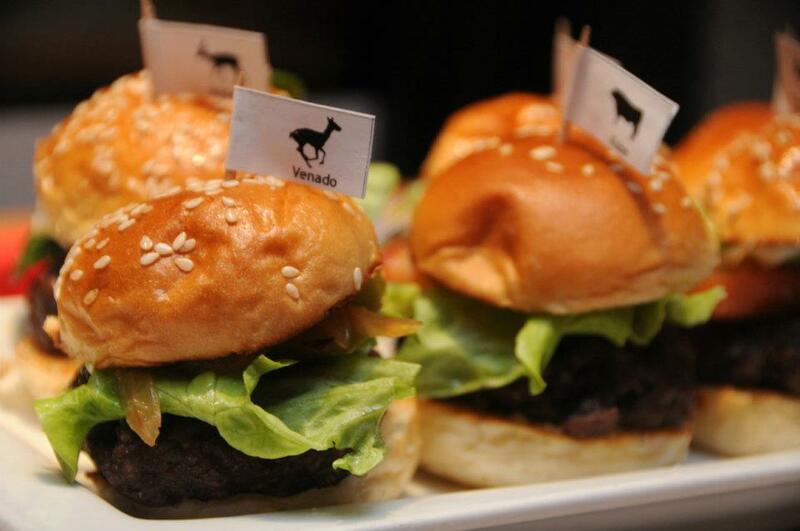 Don't pass up their gourmet burgers like the Blue Burger or the Caprichosa. They've also got a kids' menu as well as options for vegetarians and some really nice sandwiches. 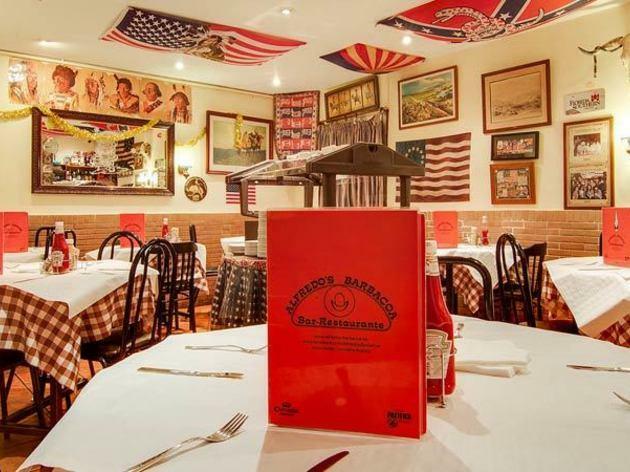 This legendary burger bar is dressed up in traditional American garb. Alfredo's has been serving up hamburgers to a country music soundtrack for three decates before the gourmet burger boom. Beef tenderloin features in the star dish, and they do a great barbecue sauce for their pork ribs, chicken and various meat skewers. Leave room for the brownie or cheesecake. 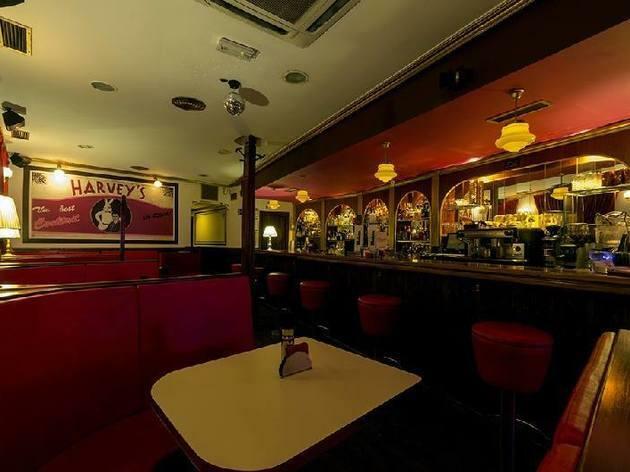 Somewhere between a 1950s American burger joint or diner and a cocktail bar, Harvey's is an easy sell as a spot to grab a bite and get the first drink in before heading out into Malasaña's renowned nightlife. Cosy, good prices, and better music. 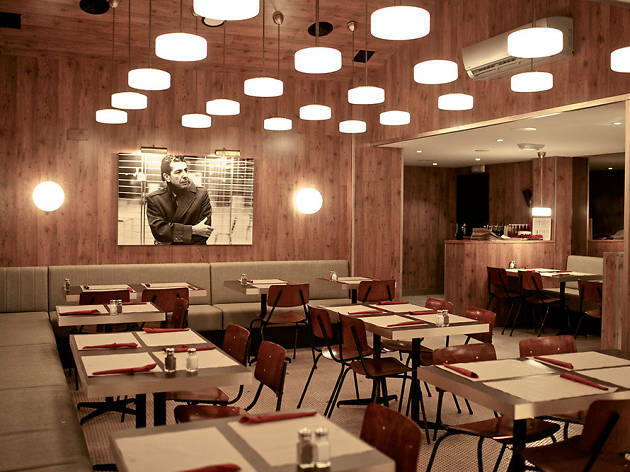 As its name suggests, coming here is like being transported to New York. 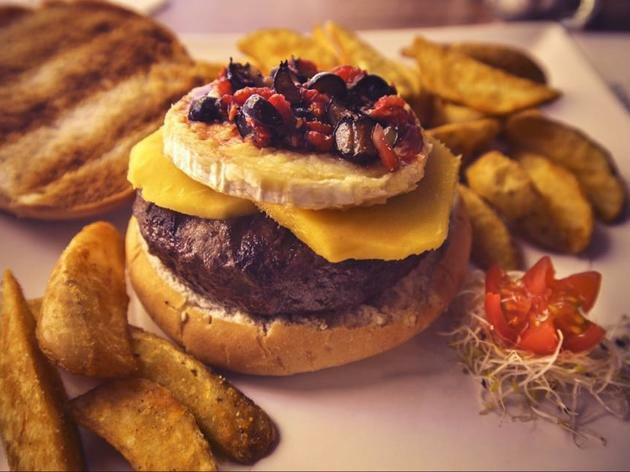 Their hamburgers are classical, though you can also try varieties with added 'jamón serrano', wild mushrooms and foie gras. Choose your own garnishes and the size of your burger (the biggest one weighs in at a whopping 500g). 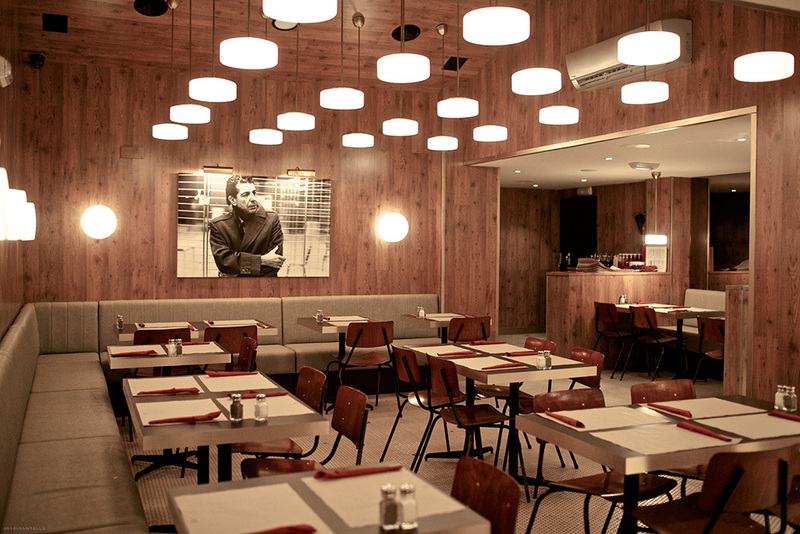 You’ll also find salads, sandwiches and grilled meats on the menu. 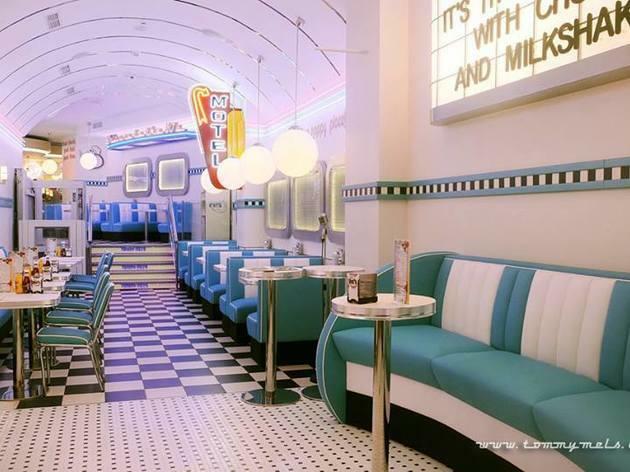 The spirit of 1950s America is alive and well at this classic diner. 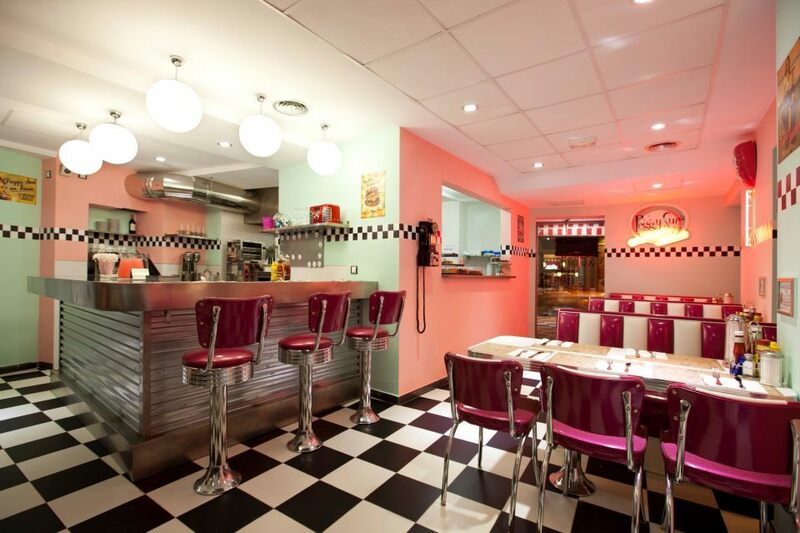 Neon lights, rockabilly music and, of course, hamburgers to satisfy all tastes are the main attractions at this chain of restaurants that also bake their own bread. They have a special gluten-free menu and take-away service. 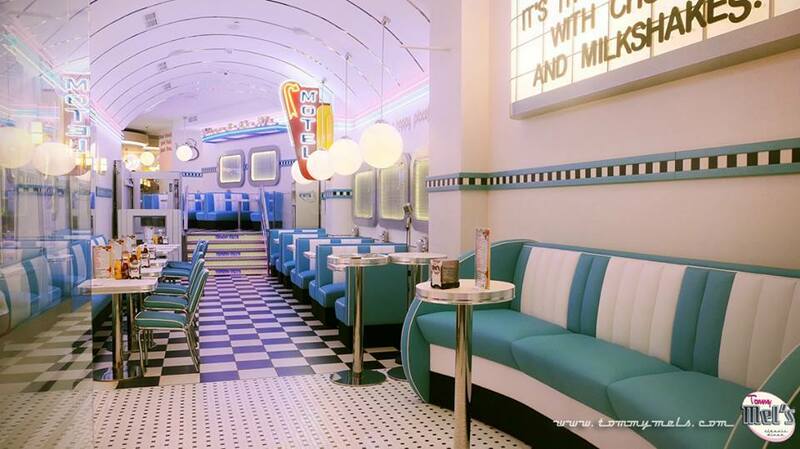 Leave some space for dessert and enjoy one of their classic American pies and delicious milkshakes. 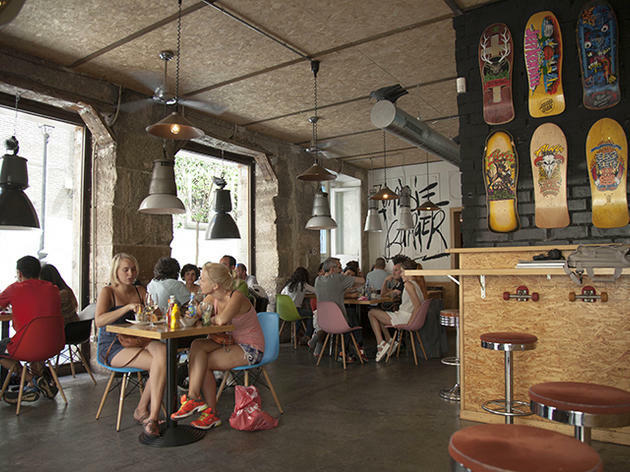 You’ll find the most exotic burgers you’ve ever tried at The Burger Lab. If you’re looking for something different from the classic American product, here you’ll find burgers made of kangaroo, ostrich, zebra, venison, impala and Kobe beef. These delicacies are also available in small format. Don’t miss their homemade desserts. It’s a one-of-a-kind gastronomic experience. 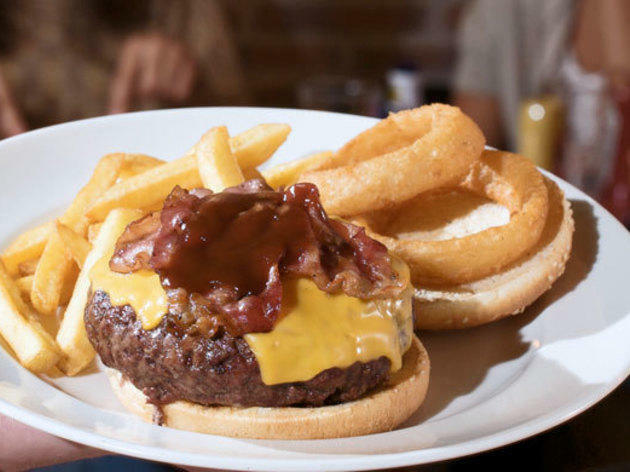 This chain has several franchises throughout Madrid, and its strong point is that they specialise in Kobe beef, which is the star of their signature burgers. Get them with wild mushroom carpaccio, salad, steamed nuggets... You can also ask for other cuts of the prized wagyu beef. A classic American diner in the process of expansion. 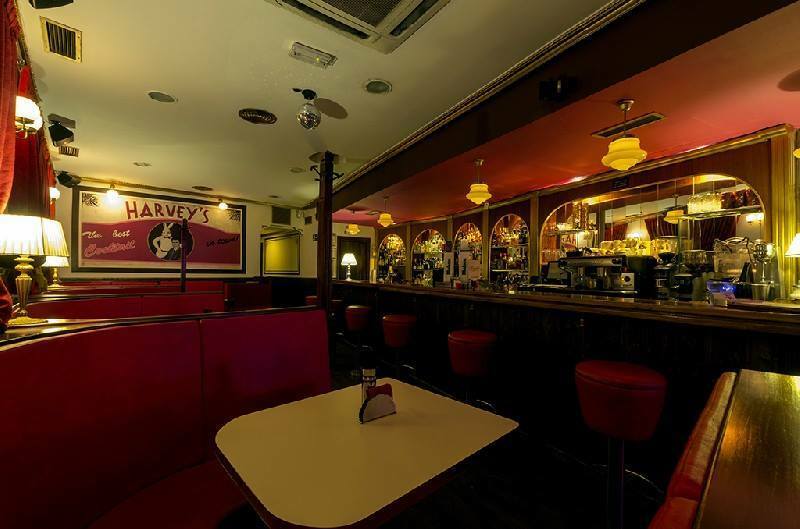 Its colourful decoration, its typically 1950s decor, complete with a mini jukebox on every table, make a visit to any restaurant in the chain a fun trip to the past. Products here boast of being 'handmade' and you can combine the extras the way you want to create a burger to your liking. Don’t pass up the desserts.